For the second year running I made a list of resolutions at the start of the year, so how did I get on? Well to be fair I did knacker my shoulder and I'm still recovering from this so lampworking wasn't on the agenda. Every day my shoulder gets a little better, but it is a long slow road so I don't feel too bad about missing this one! 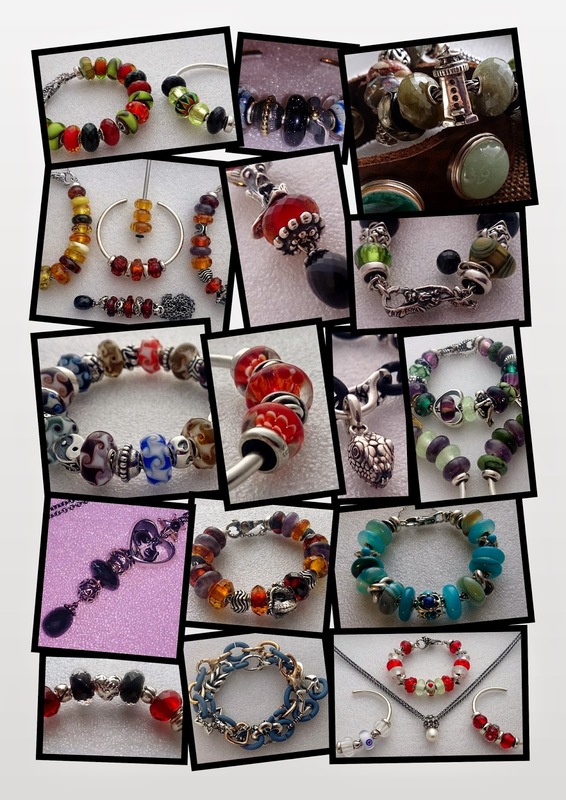 Whilst I've definitely focused on some key pieces and certainly on multiples (which has helped loads with the design resolution above), I've still been quite random during clearance sales and bead parties. Again to be fair to myself looking back a lot of these have been with some long term projects in mind, but bead parties are a definite weakness (I get carried away by the excitement) and clearance sales are such a big temptation because of the discounts! This has been a bumper year for new brands but not so much so for new bead makers. 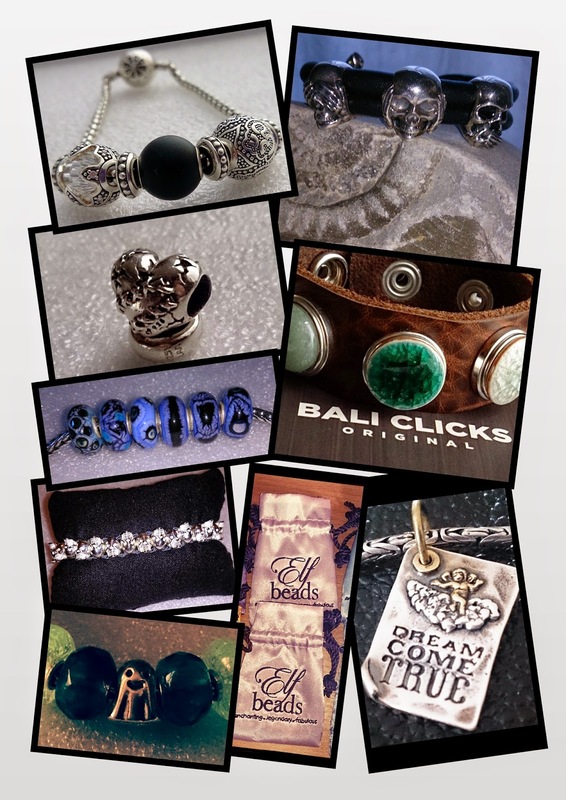 Regarding the former I've started with Ohm, Bali Clicks, Links of London, Pandora, Rebeligion, Waxing Poetic, Thomas Sabo Karma, Macrow Beads and Elfbeads this year, whilst continuing with Trollbeads, X by Trollbeads, Redbalifrog, Story by Kranz and Ziegler and Luccicare. Whilst I've still not picked up my watch charm yet, I have managed to pick up a variety of dangles and button charms this year, all at sale prices, go me! Well I'm sat here typing this in a toasty warm house and although I did miss out on a lovely invitation, I'm really pleased to have put that "Beads vs Boilers" battle behind me now. And yes I did also spend considerably less than in 2013 of which I am immensely proud! I didn't meet my revised goal of spending less than I'd saved during the year by the time the two totals were tallied but it was a good effort and I did increase my savings using this method so I consider it a success even if the numbers don't quite balance. So what's the new plan for 2015? Well I've not quite figured that one out yet, maybe pop back in January and see what I come up with! Did you set yourself any goals for this year? How did you do? Any plans for 2015 yet? Or will you wait and see what the year holds! Like you I've found it a really good experience so I'm definitely doing it next year. I love a lot of the designs I've put together this year, so much so that as a normally make and break person I've still got a surprising amount of bracelets/bangles/necklaces still made up. I also have more savings as a result and definitely feel it's helped curbed the spending, even if I still spent more than I intended, it was definitely a lot less that it would have been unchecked! I've still got a lot of nice things to blog but I think quite a bit will be coming early next year instead as I'm working a lot over the next few weeks and only taking the 3 Bank Holidays off this year, so between visitors coming I think I'll have less time for writing in the next couple of weeks.